Here are a few options for families looking to create lasting memories in Colorado this winter. Crested Butte Mountain Resort's Kids Night Out lets mom and dad hit the town while the kids visit the resort's Adventure Park with a Zero Gravity BagJump, rock-climbing wall and bungee tramps, as well as enjoy dinner and games. The resort also has trails especially for kids, including one that winds through the trees, as well as its own mini Elk Avenue (Crested Butte’s Main Street) with façades along the trails for kids to ski through and play in. Kids can also ski through a bear cave, Forest Service lodge and gold-mining building. Friday nights during ski season, bring your family to Elk Camp, Snowmass' on-mountain restaurant, which transforms on Ullr Nights into a nighttime winter wonderland with events Ullr’s Ghost Ship made of snow with lights and a slide, a Viking sledding hill, snowshoe tours as well as s’mores and hot chocolate by the bonfire. Snowmass Village is also home to the Treehouse Kids Adventure Center, which offers child care with themed playrooms, as well as ski and snowboard lessons. Many evenings, kids can gather 'round the campfire for Old West storytelling and marshmallow roasting. We can't mention Beaver Creek without giving a shout-out to its innovative 3pm cookie program: Warm cookies served at the end of the ski day as you leave the slopes and head to apres activities. In addition to this delight, there's also on-hill story time, Thursday-night lights (a glow-stick ski procession followed by fireworks), a tubing hill, ice-skating and the Marmot Maze. For gals who aspire to be downhill pros, Beaver Creek has a Ski Girls Rock program, an exclusive ski camp for girls designed by Olympic gold medalist and World Alpine ski champion Lindsey Vonn. Keystone Resort's Kids Ski Free program for families gets the little one on the slopes when their families stay two or more nights in Keystone. While there, the fam must be sure to take advantage of all the Kidtopia activies — face painting, fort building, scavenger hunts, cookie hour, disco tubing, and more. 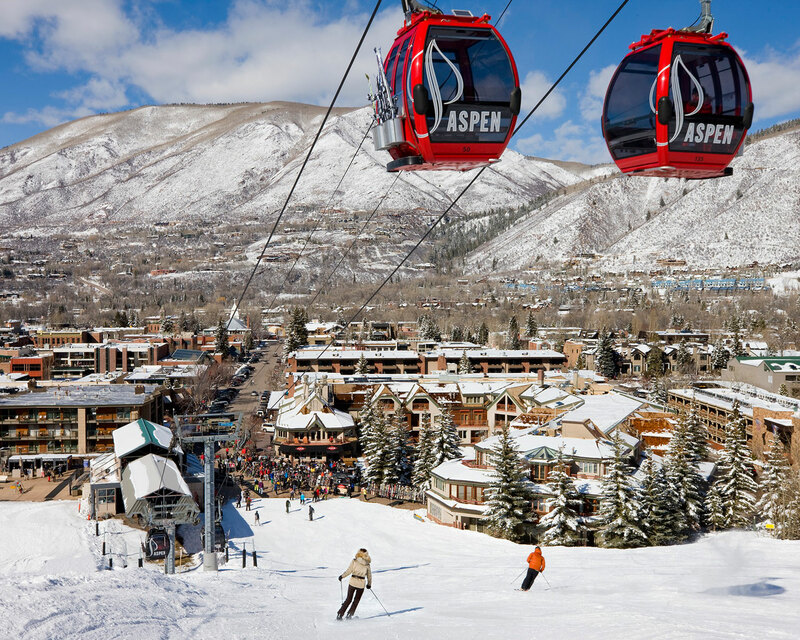 For unparalleled ease, there's also the Free Family Front-Row Parking, just steps from the gondola. Other family amenities include wagons/gear chauffeurs to help guests transport gear to and from the lifts and the Family Ski Trail, where kids can ski with Keystone's beloved mascot, Riperoo, and might see an appearance by the resort's avalanche rescue dogs. Many of Vail's offerings for the little ones center around Adventure Ridge, a mountain-top snow park reach by gondola with activities from ski biking and tubing to a mini-snowmobile course, zipline, bungee tramp and Bistro 14, a kid-friendly place to grab a meal. Adventure Ridge is open well into the evening, so it's the perfect add-on to the end of the ski day. As part of Vail's Ski School, Walking Mountains Science Center Naturalists give kids slope-side nature lessons about the Rocky Mountains that surround them. Copper also has an excellent Kids Night Out program, with three hours of free child care with games, crafts and movies while parents hang in the resort. At the base of the resort's tubing hill, you'll find Critterland, home to a tubing carousel and mini tubing hill, a snow den with tunnels to scamper through and other pint-sized activities. Woodward at Copper’s Barn, an indoor playground with year-round ski, skate and bike programs offers ramps, foam pits and fly-bed tramps for those of all skill levels to practice tricks for their next trip down the mountain. For some friendly competition, Copper Mountain also offers Alpine Rush Zip Line where two riders can soar side-by-side 30 feet above the West Lake ice skating rink up to 30 miles per hour. Known as Ski Town U.S.A., Steamboat Springs has become one of the best family ski resorts in North America with options on and off the slopes for kids. Steamboat provides the perfect environment for kids and families learning how to ski with kids-only magic carpet lifts, private full- and half-day lessons for the whole family, and Sunshine Family Trail's Snow Monsters, Steamboat Olympians and other characters along the way. Their Red Wagon program is a way to help families loaded down with gear get to and from the slopes without any cryin'. And once you get your brood back to your lodging and settled, there's no need to put the boots back on — have your groceries delivered and sit down to family dinner without any fuss. With oodles of wide, gentle trails at the base of Peak 8 and Peak 9, there's plenty of room for new skiers to get things off to the right start at a relaxed pace. Off the slopes, there's ice-skating, an Alpine slide, a mountain-top children's museum, lots of family-friendly dining spots and other activities. For the competitive family, Breckenridge participates in EpicMix (as do Vail, Beaver Creek and Keystone), a mobile app that keeps track of the vertical feet your family has covered, lessons completed, lift rides taken and many other ski-vacation stats to boast about when you return home. For older kids skiing without their parents, it'll tell you where on the mountain they last checked in — all they need to do is wear their EpicPass. Remember, nearly all of Colorado's 28 ski resorts have family activities, including nighttime fun. Need lessons? Many resorts and ski areas offer ski and snowboard schools and programs. Also check out our full list of Colorado ski resorts and ski-town activities for summer.